The last thing fourth-grader Kai Wells remembers (before the world as she knew it disappeared) is being surrounded by bullies on her walk home from school. What happens next can’t be explained as Kai finds herself on the run for her life in ancient Egypt! Imagine. . .The Ten Plagues is the second release in an exciting, brand-new epic adventure series for kids ages 8 to 12 written by schoolteacher Matt Koceich. The Imagine series brings the Bible to life for today’s kids as they ponder what it would be like to live through a monumental biblical event. The last thing ten-year-old Corey remembers (before the world as he knew it disappeared) was the searing pain in his head after falling while chasing his dog Molly into the woods. What happens next can’t be explained as Corey wakes up and finds himself face-to-face with not one but two lions! 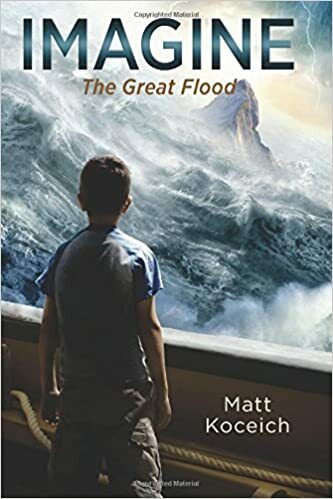 Imagine. . .The Great Flood is the first release in an exciting, brand-new epic adventure series for kids ages 8 to 12. The Imagine series brings the Bible to life for today’s kids as they ponder what it would be like to live through a monumental biblical event. These 365 readings will help you grow your faith and connect you to the heavenly Father as you’ve never been before. Each day of the year, you will encounter a moving, blessings-filled reading that has powerful potential to impact your life.